If you are looking for the best places to visit during Dussehra, you should consider Jagdalpur and its famous Bastar Dussehra. Not only this Dussehra is the longest festival in India and in the World, but it also showcases some of the most interesting Tribal customs. The Indian State of Chhattisgarh has a special and fascinating Vijayadashami (Dussehra festival, also called Dasara, Dashera, Dasshera or Dushera). Don’t forget to read my guide to Chhattisgarh state if you plan to discover more than Bastar Dussehra and district. Here, there’s nothing to do with the Ramayana and the victory of King Rama. Bastar Dussehra is all about the Tribes, their Maharaja and their Gods and Goddesses. It’s also the longest festival of the World, celebrated for 75 days. I was lucky enough to celebrate it already twice in 2012 and in 2015. It has been the most intense moments of my travels. As there’s only a few information available, I’ve decided to write this local guide about Dasara festival in English. 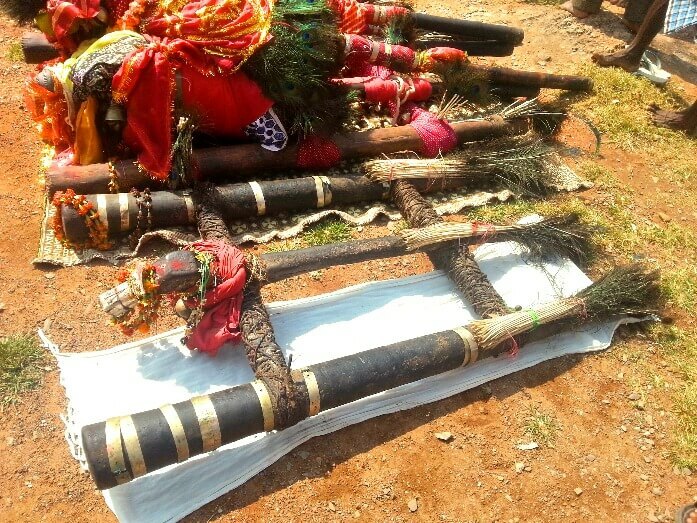 Through my HD videos and pictures, I’ll decode for you the Tribal Dussehra of Bastar District. 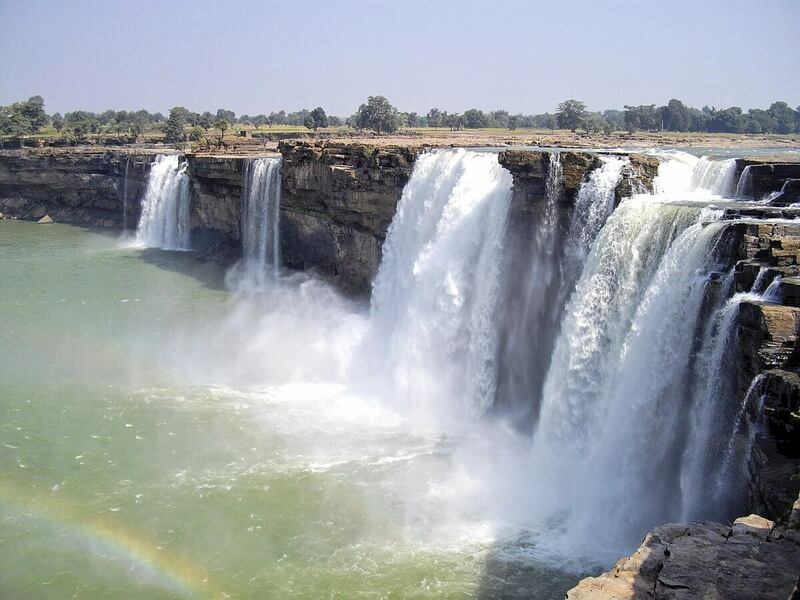 If you need information about the places to visit in Jagdalpur and Bastar district, don’t miss my guide to Bastar district. Today, I’ll tell you the essentials about one of my favourite festivals in India. When Jagdalpur Dussehra will start in 2019? 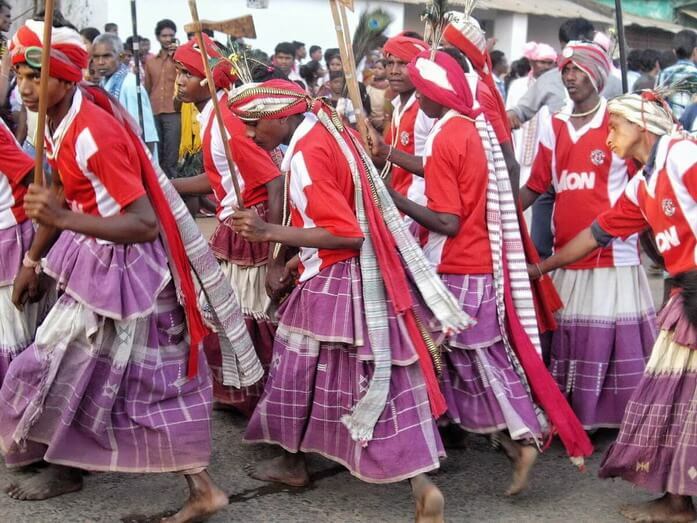 Where the Dussehra of Bastar is celebrated? What does Bastar Dussehra celebrate? Why Bastar Dussehra is celebrated? How is Bastar Dussehra celebrated? How to organize your trip for Bastar Dussehra in 2019? Bastar Dussehra begins with the dark moon in the month of Shravan (end of July) and ends on the thirteenth day of the bright moon in the month of Ashwin (October). Although there are 12 main events during the whole period, the last ten days, overlapping with Navratri, are the most interesting and festive. If you want to celebrate Bastar Dussehra in 2019, you will have to be in Jagdalpur before the 29th of September. The first major event, Kaachan Gadi Puja, should happen on the 28th of September, evening time. I notice that most of my readers only go to Jagdalpur on Dussehra day and it’s really a pity to miss the previous events. Check with Chhattisgarh Tourism Board a few weeks before to get the full program and confirm the date as it can vary. In 2018, the festival started on the 10th of October. Kaachan Gadi Puja started on the 9th of October, at 5pm. The main festivities take place in Jagdalpur, the administrative headquarter of the Southern district of Bastar in Chhattisgarh. So, Jagdalpur is the best place to stay during Bastar Dussehra. I strongly recommend you to stay in Devansh Residency, the best quality for price. Check the reviews of the other customers on Trip Advisor here. 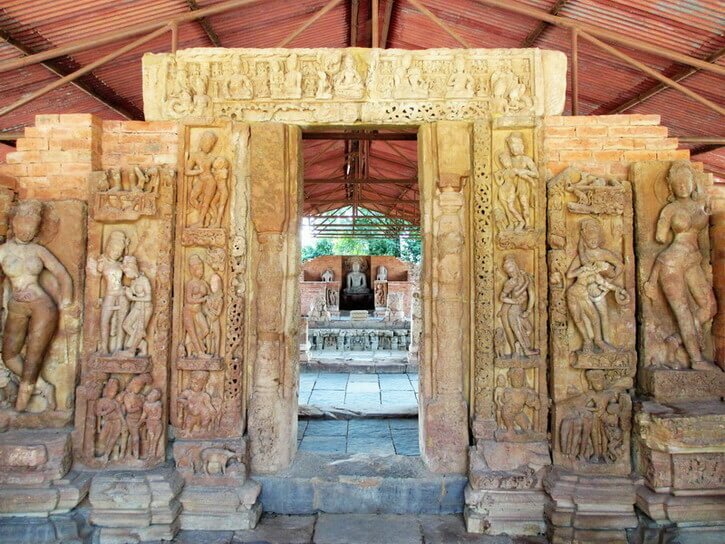 The nearby town of Dantewada, in the eponymous district, also hosts some important rituals and can be reached by bus from Jagdalpur. *by train via Odisha (Vizag or Bhubaneswar line). Eg a flight to Vishakapatnam then a train from there to Jagdalpur. My favourite option. *by bus or car from Raipur, the state capital. Eg a flight to Raipur then a bus or private car to Jagdalpur. Scaring option. Jagdalpur now has its own airport with daily flights from/to Bhubaneswar and Vizag. For your flights to India, Asia and the Middle East, I recommend you my favourite company, Qatar Airways. Check the latest offers here. Bastar Dussehra is devoted to Devi Danteshwari, the clan Goddess of the Kakatiya rulers of Bastar. The legend says she helped the first non-tribal King, Amman Deo from Warangal, in the XIV’s century. He was conquering new lands and the Goddess promises her protection if he never looked back. 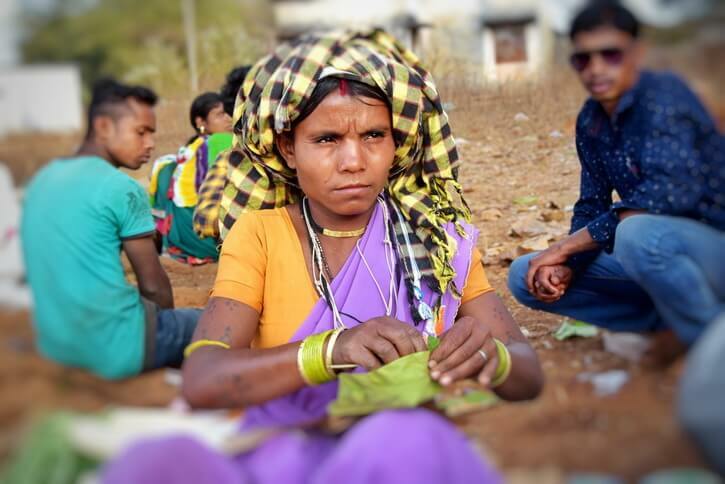 When they arrived in Dantewada, the King didn’t hear the sound of the Goddess’ anklets anymore. He turned back and the Goddess told him she would stop here. He built a temple for her and continued his war. He chose her as the Goddess of his clan. 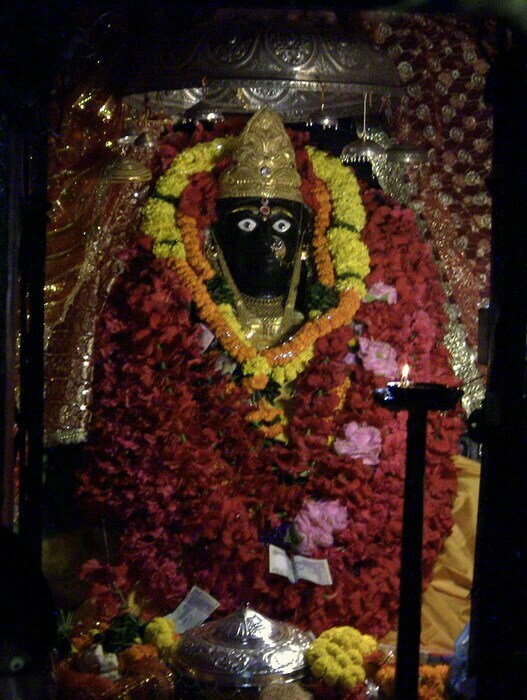 This temple is also one of the Shakti Peeths. In the XIIth century, the King of Bastar, Purushotam, was so devoted to Lord Jagannath of Puri, that he walked all the way from his capital Bade Dongar to Puri’s temple. One year later, when he arrived, he offered so many gifts, gold and offerings than the God appeared in the temple priest’s dream. He asked him to give him the title of Rath Pati (head of a chariot) and a chariot from Puri’s rath festival. As the chariot had 16 wheels, the King decided to return 4 wheels back to Jagannath. This 4 wheels chariot is used during Goncha festival. The 12 wheels chariot was divided in two, one from 8 wheels, one from 4. They are alternatively used during Bastar Dussehra. In 2017, it will be the 4 wheels chariot, and the Tribes will build a 8 wheels one. It was under King Dalpat Deo in the XVIIth century that Dussehra started being celebrated in the new capital, Jagdalpur. The King gave a different function to each tribe and community. It didn’t change until now. It celebrates both Goddess Danteswari and her sister, Maoli, but also the Tribal Gods and Goddesses. The festival involves the different tribes of the district. 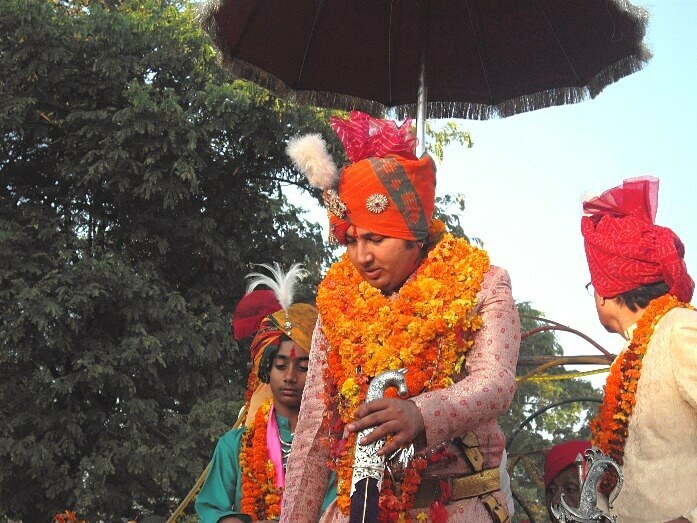 The Maharaja of Bastar, HH kamal Chandra Bhanj Deo, leads the ceremony and festivities, as the head of the community and the priest. The whole population of the district loves to participate in the rituals that are deeply influenced by the religious beliefs and customs of the Tribes. The festival looks like the life of the Tribal people of the state, deeply connected to their Gods and Goddesses, Nature, their jungle, beliefs and customs. You will see the leaders (Gaitas) of the villages wearing their red turban, the mediums (Gunias) and witch doctors (Sirahas) in a trance, the men wearing the local Gods in different shapes. The much-revered shape of God is called Anga Deo and can have a ladder like shape (Doli) or even a stick, stone or tree. You will witness some Tribal customs that didn’t change, like their devotion to the music, dance, song, magic, the use of their sacred instruments. You will participate in the same rituals than 400 years ago. 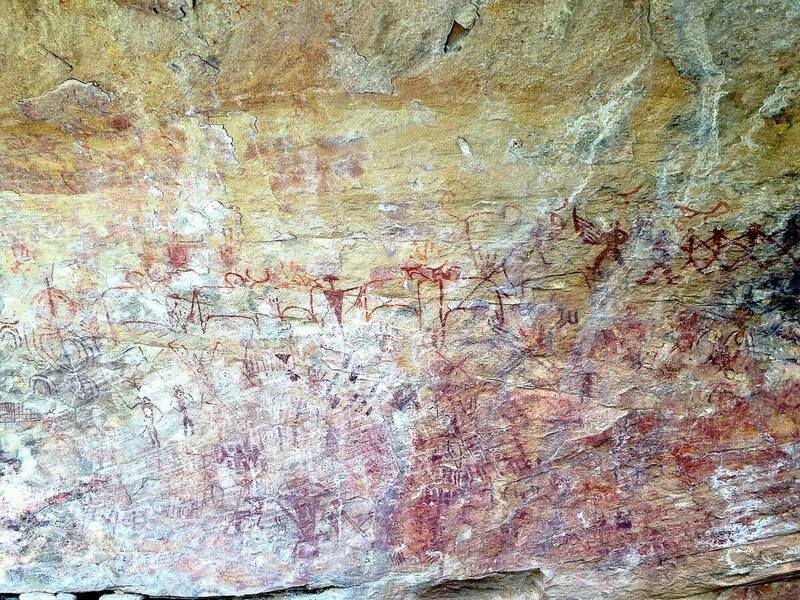 Contact me to get in touch with my local guide friend specialised in the tribal culture of Bastar. You now have the essential information about Bastar Dussehra, the World’s longest Festival from the tribal state of Chhattisgarh. Read more articles about India in the India travel category. Did you know this festival? Have you already experienced it? How was it?